The DC Metro market is pumped up right now as we approach the summer season, according to RealEstate Business Intelligence (RBI). It’s good news all around — with May stats showing levels that haven’t been seen since the housing boom. Sales are at a seven-year high for May, and new contracts are back to peak housing boom levels. The median sale price for the region is rising and posted the highest May level on record. New listings are up nearly 20 percent from this time last year, reflecting back-to-back months of double-digit growth for this indicator. At nine days, it’s the lowest median days-on-market since the peak of the housing boom back in 2005. The average-sales-to-list price ratio now stands at 98.6, the highest of any month since October 2005. All property segments are showing signs of health, with condos leading in sales growth, townhomes leading in new contract growth, and single-family detached homes leading in median price growth. It is likely that the region will see somewhat slower sales as the summer progresses, which is typical of seasonal market patterns. If new listings continue to grow, this could help alleviate some of the inventory shortage, and take some pressure off prices. See below for more detailed information and interactive graphs. Double-digit sales growth continues with 5,088 sales in May, 13.6 percent higher than this time last year, and the highest May total in seven years. Sales are up 20.2 percent from last month, which is well above the 10-year average change of 13.2 percent, further evidence of strong demand in the market. Condos remain the fastest growing property segment in terms of sales growth rate, rising 21.1 percent from this time last year. The median sale price continues to climb for most of the region; Alexandria and DC post record highs. At $424,800, the median sale price in the Washington DC Metro Area is 8.2 percent higher than last May, and the highest median sale price for the month of May on record. Single-family detached homes led all property segments in price growth, up 8.2 percent from this time last year, a gain of $60,000. The low inventory of homes for sale, coupled with strong demand, continues to put upward pressure on prices. At the jurisdiction level, Prince George’s County continues to lead in terms of price growth rate, with the median sale price up 18.8 percent from this time last year. Both Alexandria City and the District of Columbia posted their highest median price on record at $525,000 and $490,000, respectively. The median sale price fell in Falls Church City and Fairfax City, however prices tend to be volatile in these jurisdictions due to the low quantity of sales. There were 5,951 new contracts or new pendings signed in May, up 6.4 percent from this time last year, and the highest May total since the height of the housing boom in 2005. Townhomes led all property segments in growth, rising 12.5 percent from this time last year, the sharpest gain in nine months. New contracts on condos and single-family detached homes rose 9.8 and 1.9 percent, respectively. Despite the continual decline in active listings, new listings are on the rise for the second month in a row. 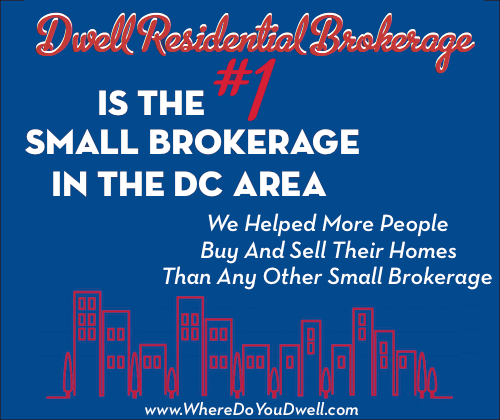 There were 7,998 active listings in the DC Metro Area at the end of May, a drop of over 2,500 listings from May 2012. Active listings remain at historically low across all property segments, particularly townhomes, which at 1,338, are at their lowest May-level since 2003. There were 7,276 new listings in May, up 19.6 percent from this time last year, the sharpest gain of any month since April 2010. Condos led all property segments in new listing growth, rising 25.6 percent from last May. New listings of townhomes and single-family detached homes rose 22.2 percent and 15.8 percent, respectively.